The first time I performed in prison we discovered prisoners put great value in sharing their opinions. They knew their thoughts would be shared directly with the composers of the works they heard and that made them feel like their opinions mattered. 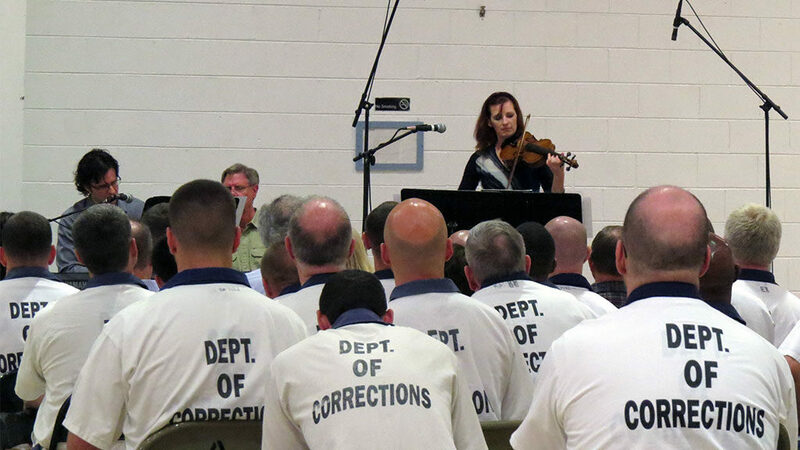 The second time I performed in prison we gained a deeper appreciation for the power of music, especially contemporary music. Hearing directly from the prisoners how new works evoked emotions and thoughts helped shape the planning for the third prison performance. The theme of the third performance was chosen by the prisoners: Love and Hope. Creating a program of music based on Love and Hope sounds easy. But how each person views and values both of those words is very different. For my third performance in Walker State Faith and Character Based Prison, I chose works that could be interpreted either way. After the positive feedback from the November recital regarding composer Mischa Zupko’s violin and cello duo, Eclipse, it was decided to bring another Zupko piece into Walker. It was also decided to bring Mischa Zupko in person! The first work on the program, written by award winning Chicago composer, Mischa Zupko, Rising, for violin and piano (Mischa played the piano part), was welcomed with the same enthusiasm and open minds as Eclipse was in November. 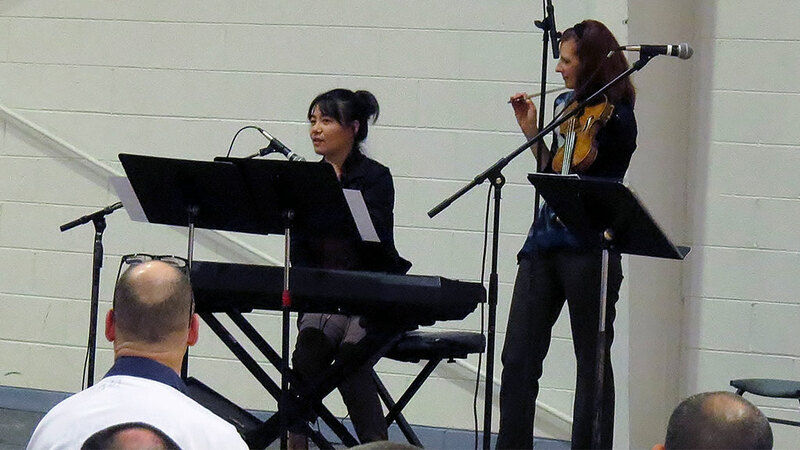 The second work on the program was written by award winning Chinese born American composer Wang Jie. The Yearning, first movement from a four-movement work from Wang Jie’s Serenade in Isolation, was for solo violin. This work was chosen because after the first hearing, I couldn’t get it out of my mind. For a piece of music to ask questions the way it did, I felt it was perfect to share with the men in Walker State. The remaining two works on the program were the fifth movement from Messiaen’s Quartet For The End Of Time originally for cello and piano, transcribed for violin and piano by Wang Jie; and the fourth movement of Franck’s violin sonata. From each of the recital surveys, there is always a nod toward family or a family member. Mentions of relationships with fathers and mothers have always been shared either directly in the two-way conversations during the recitals or in the surveys themselves. But this past recital I noticed a new trend of prisoners talking more about their children. We knew that the recital programs were often mailed to family members or talked about during visitations. We also knew that prisoners had been telling their children about the music they heard and the musicians they met. And now we are seeing how the music is starting to open doors for families. 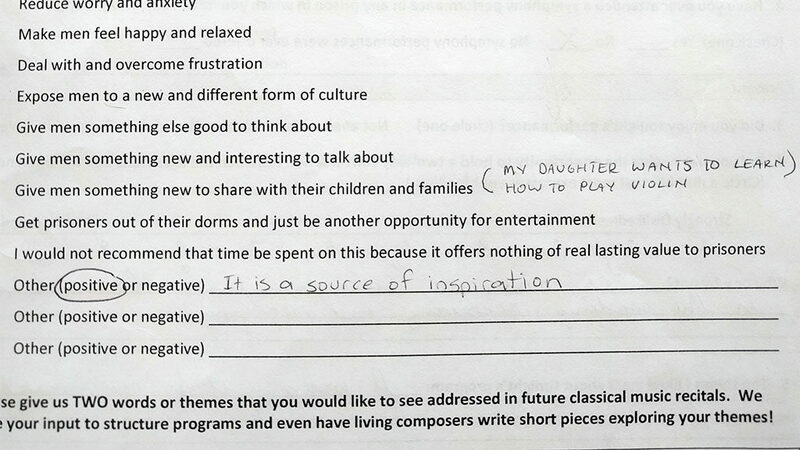 On the latest surveys, there is mention that one prisoner’s daughter now wants to learn to play the violin. Another prisoner mentioned how the music made him think about his son and how reuniting will take time. One prisoner summed up music perfectly: “Music is communication. Communication is the sending, receiving, and replying.” Certainly, music is opening hearts and minds, even offering relationship building commuications. These are all essential ingredients for men, all of whom are up for parole, to succeed upon their release into society.